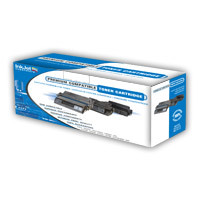 Ink and Toner cartridges for TOSHIBA Printers. This is the place to get Toshiba printer supplies. Here you will find MopriaTM Alliance certified cartridges for e-STUDIOTM multifunction printers that accommodate mobile printing apps for Android. OEM/genuine cartridges for Toshiba printers guarantee quality and professional looking prints. Expect the same from our branded InkjetSuperstore compatible new cartridges. We know it is important for you to know they are exactly the same quality as the original, and have passed rigorous testing standards. The best savings begin when purchasing remanufactured cartridges. Basically they are recycled cartridges that have been refurbished and tested and work just as well the other two options. To find the correct cartridge for your printer, all you need to do is use the Easy Canon Cartridge finder on the right side of this page. Be sure all alternative options have gone through a tested and certified process guaranteed for twelve months. Yes! We stand by our products for an entire year. If you need further assistance, you can chat with us from Monday through Friday from 8:00 am to 5 pm PST. E-mail us or call us 888-745-4316. Be sure to check out our weekly coupon to save even more.